We are very happy be taking part in an exciting Creepy Crawly Challenge giving us the chance to get Creative and make our very own Bug....Nestle have been working with food artist Prudence Staite who has created a 10 foot giant Cereal Caterpillar made out of Nestle Cereals, to show how nutritious Cereal can be. 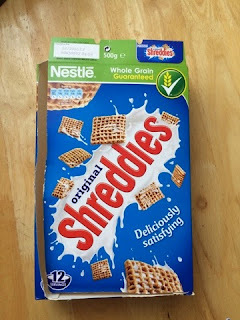 According to new research by Nestle Cereals 47 % of children have munched on a Creepy Crawly but over two thirds refuse to eat their greens. 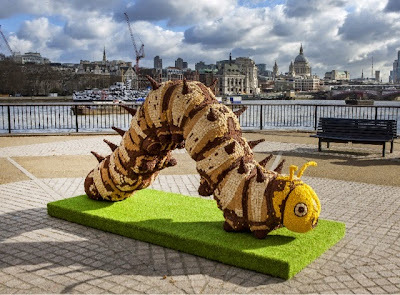 So they created the giant Caterpillar made out of Nestle Cereals and went on tour around the UK, to help show there is an easier way of getting a Bowl of goodness, other than munching on a Creepy Crawly. A bowl of Nestle Cereals for breakfast contains Whole grain, Vitamins and Minerals and Fibre plus they taste delicious, this is how we like to start our day. 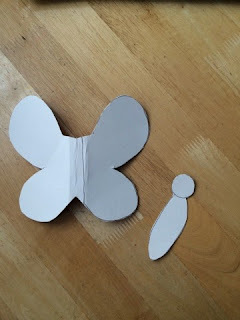 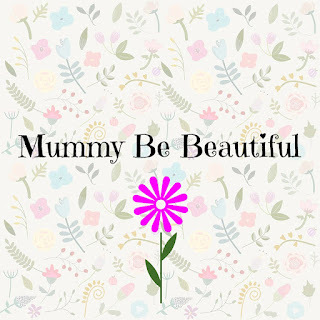 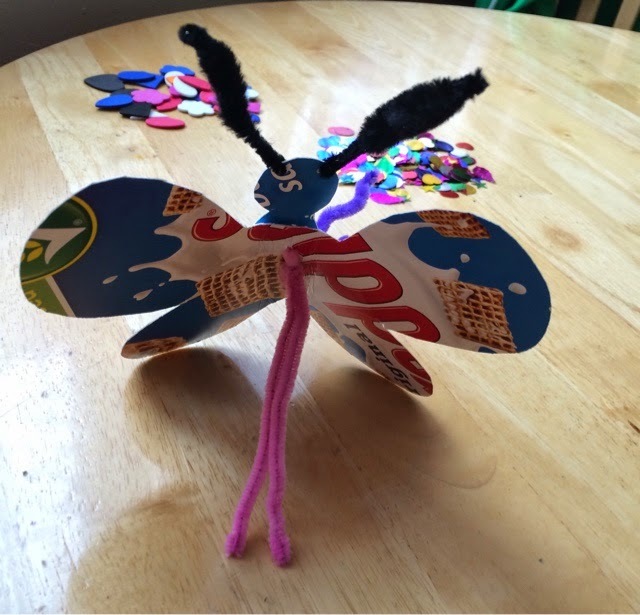 We decided to create a Beautiful Butterfly and this is how we did it. 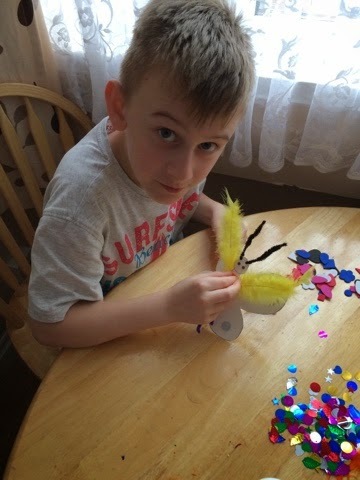 We used a Shreddies Cereal box, Pva Glue,Feathers, Foam Shapes, Metallic Shapes,Pipe Cleaners,Googly Eyes. 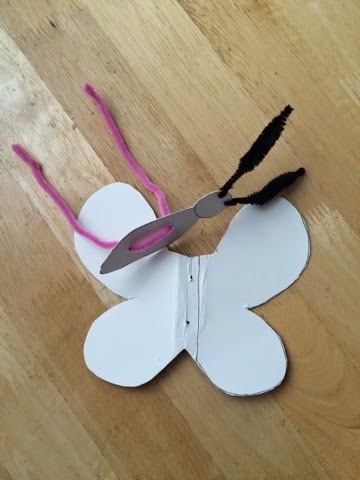 Next Make holes in the Butterfly Wings and Body and top of the head, attach the body and wings with pipe cleaners, also use Pipe Cleaners for the Antennae. 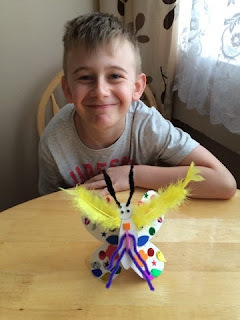 Twist the Pipe Cleaners in place to hold the butterfly together, this also creates a nice stand to help the butterfly stand up as if it was floating, then at the front of the Butterfly add some more pipe cleaners for the legs...now for the exciting part time to decorate your butterfly, first glue on some googly eyes. 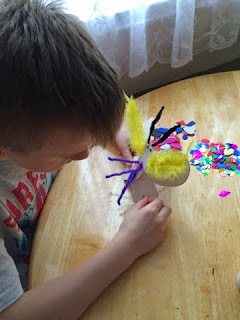 Add some nice Metallic and Foam Shapes and Feathers. 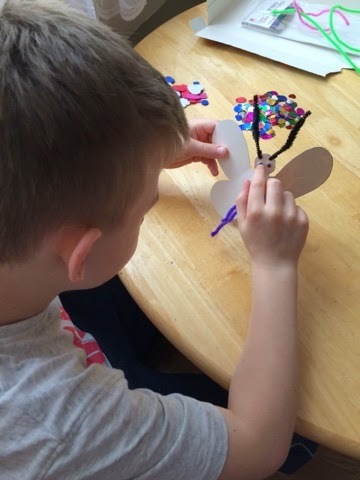 We had so much fun Creating our amazing Butterfly, we are deciding what bug we would like to make next. 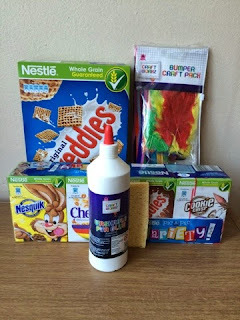 We were given boxes of cereal and craft pack to take part in the challenge.